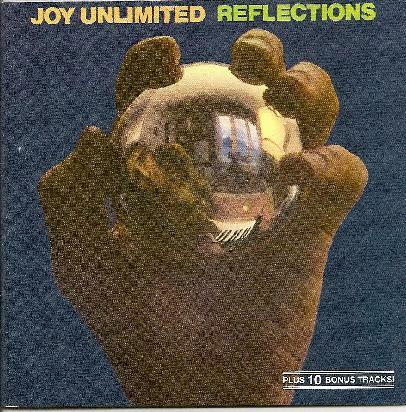 Joy Unlimited are a 1970’s band from Mannheim, Germany, and this is a re-release of their 1973 album on BASF, now on the Garden of Delights label. The album is very much in the Progressive Rock vein, conjuring feelings of Quintessence at times, while at others it draws on a Mahavishnu Orchestra, King Crimson, or Jethro Tull style, rather experimental to be truthful, and it is essentially a concept album full to the brim with ambience and chaos in equal measure. There are ten bonus tracks here of the CD as well as the Reflections album, and according to the accompanying booklet, vocalist Joy Fleming, the namesake of the band and founder member apparently turned her back on the band for this album, and by the sounds of this album, the band have let loose and have produced a very Strawbs/Golden Avatar sounding epic concept. At times it could be termed middle of the road. Others, however, are energy driven inspirational pieces of music not unlike that of The Soft Machine or Frank Zappa. It is a sax/flute/organ extravaganza, mixed in between songs on pondering and reflection. From the first track, Reincarnation, to the end track, Question, we have flowing movements of music, all are strange and conceptual, all are performed and produced to a high standard, and all are there to allow you sit back and relax for a headphone experience. Good Stuff.